Remember that our ‘customers’ are the members of the society. So far we’ve identified three groups of current members, Maggies, Rowdies, and Mickeys. Let’s look at how the services of the society address the interests of each of those groups. 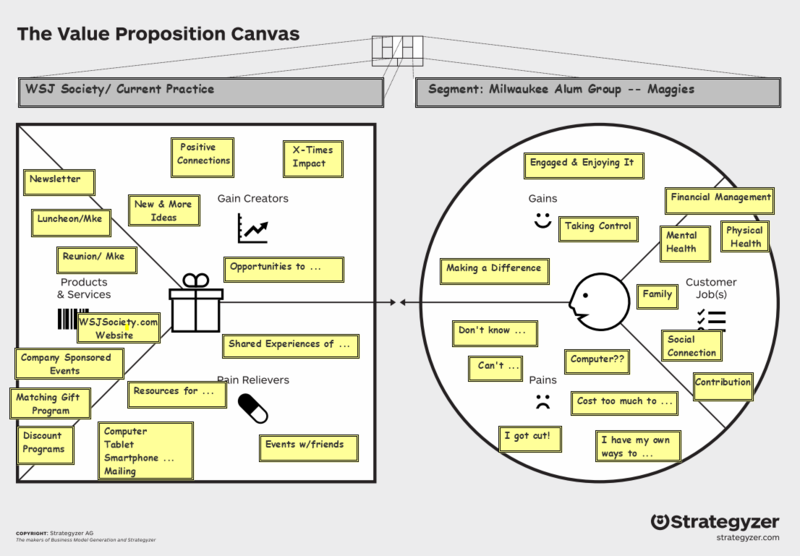 We can do that with the help of a Value Proposition Canvas generated for each of our member groups. You’ll find a draft VP Canvas for those groups on the WSJSociety.com Update/ Project Page. Backup information on the creation of these drafts is included in the Notebook: WSJ Society Business Model. 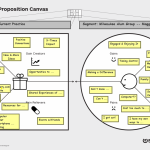 Also available on the Project Page is reference information on the Value Proposition Canvas and a link to a blank canvas you can download. Give it try and let us know your ideas, particularly on those Customer Jobs. Those are challenges you face, and interests you would like to explore. How can we get the best picture of your situation? Let us know, here, just Join the Discussion. 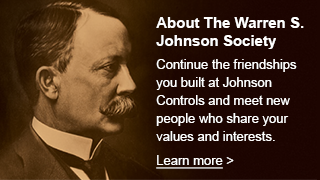 Our next step will be to go over the design of the website, WSJSociety.com. With the customer interests in mind, we can check how our current use of the website addresses those interests. We might even be able to make some quick improvements before we launch more targeted improvements tests. Remember, you can Join the Discussion anytime!